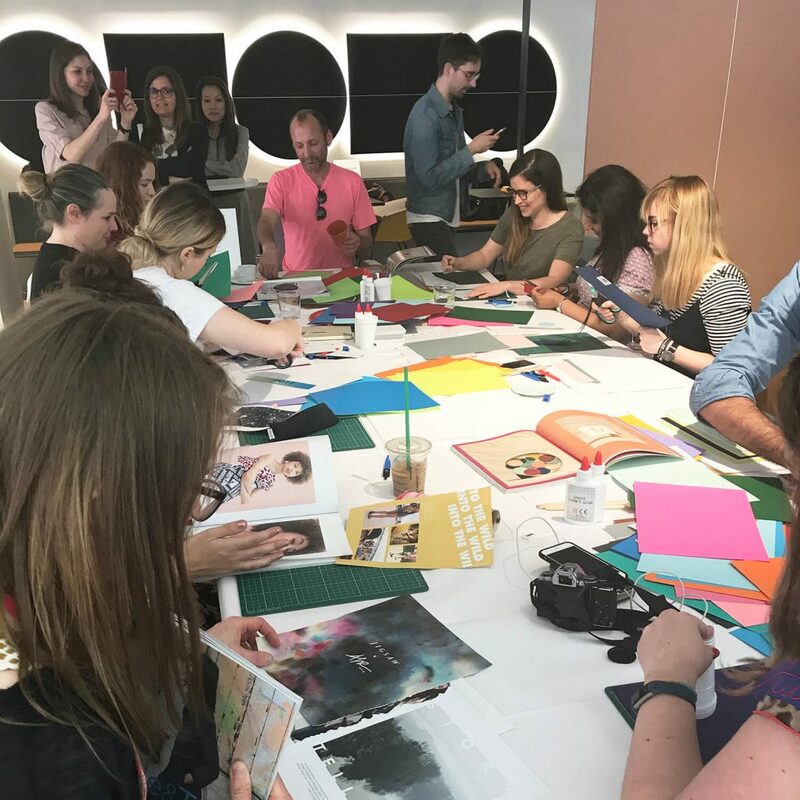 Bloggers and designers took part in a colour workshop during Clerkenwell Design Week based on a test originally devised by Bauhaus master Johannes Itten. The hour-long workshop was hosted by Disegno in collaboration with Italian furniture brand Arper and led by designer and architect Ab Rogers. Ab talked about his own relationship with colour and then led guests through Itten’s exercise using coloured papers, metallic cards and magazine cut-outs.